Anyone that has stayed inside for an entire weekend with a toddler knows that it’s not a great idea. Toddlers have endless amounts of energy. So, if you don’t want them to be bouncing off the walls, you’re going to want to head outside to burn it off. But, just what should you do outside? Read on for a few ideas. 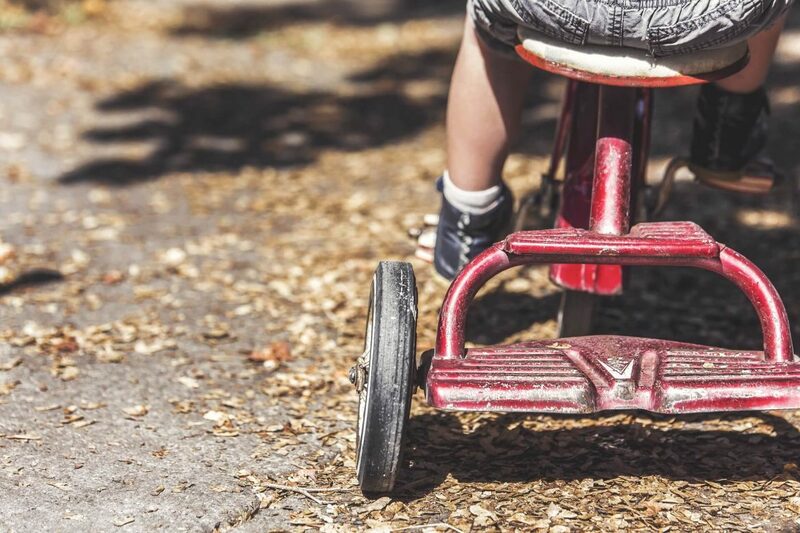 Not every toddler will be able to ride a tricycle. The level of coordination required to pedal can actually be too much for a lot of two-year-olds. That said, at some point during toddlerhood, a lot of kids do get the hang of it. Once they do, this activity can be both a great way to get some exercise and a wonderful way to get around town. Some tricycles have a handle in the back for parents to push. These are particularly nice since they give toddlers a chance to practice balancing and steering, even before they are able to pedal. Hiking is great exercise for parents and toddlers alike. While a lot of adults enjoy getting outside and experiencing nature, the experience is even more amazing for toddlers. For young children, hiking is truly an adventure and a way to explore the world. They are likely to see all kinds of new plants, trees, rocks, and animals that they have never seen before. One word of advice though, it can be a good idea to bring a carrier. While toddlers may start out with a lot of enthusiasm, those little legs do get tired after a while. If you have access to a pool or a beach, you will want to take advantage of it. While most toddlers aren’t able to swim on their own, they are certainly capable of splashing around as long as they have a floatation device on. If you go to the beach, not only will they get to play in the water, they will also get to run along the coast, and maybe even build a sand castle. If you don’t have access to a pool or a beach, a water table can be a great way to get outside and splash around when it’s warm out. Washing your car might seem like a chore, but it can actually be a ton of fun for toddlers. Hand them a rag and a bucket of soapy water, and they are sure to want to pitch in. Then, watch their eyes light up as you spray down the car with a hose to rinse it off. Now, you shouldn’t expect too much actual help from your little one. In fact, the task of washing the car will probably take twice as long with their assistance. But, it will also be twice as much fun. Parks can be a great family destination since there are all kinds of activities that you can do once you arrive. You can bring a ball to kick or throw around, or perhaps a kite to fly. Some parks also have slides, playgrounds, and other activities on site. You might even toss a couple of sandwiches, snacks, and beverages into a bag along with a blanket, and make a picnic while you’re there. Getting outside to play is a great way for toddlers to get some exercise, and burn off some energy. This generally leads to them being happier during the day and tired when it’s time to go to sleep at night. The key is finding enough good activities to do outside so that you are able to keep things fresh and exciting. Hopefully, these ideas help a little. I’m Lauren & I blog over at Sophie’s Nursery! My blog is primarily aimed at parents of young children who want to help support their educational development at home. As a teacher, I plan & post lots of different activities parents can do with their children, starting from 0 months upwards. I also love writing general lifestyle & parenting posts! Apparently, I’m seen as a hard-working & very organised person! (I think being a teacher has made me this way – I cannot cope if I don’t have some sort of plan!). Also, without me paying them, they have said I genuinely care about others & am a great listener. How much time it takes! I love blogging & the opportunities it has given me, but there just isn’t enough time in the day. Being a mum, trying to live a bit of a life & then researching/writing/taking photos/editing/promoting/emailing all of my posts… I just wish everything didn’t have to take so long! I’m fairly new to blogging & haven’t had the opportunity to meet as many of the lovely bloggers out there as I would like! I guess if I were to choose though, it would have to be some of the big name bloggers that I follow. As a fellow Brummy, it would have to be Brummy Mummy of Two. I find her hilarious & so relatable. I’d also invite The Unmumsy Mum as I imagine she would keep me well & truly entertained! Finally, it would have to be Michelle Schroeder-Gardner from Making Sense of Cents – I would love to get inside her brain & get her top blogging tips! Liase with other bloggers! I have met so many people & had so much love on my blog posts through doing this. They’re not competition, they’re your main support. It has to be any of the National Trust properties. There’s something for everyone – beautiful walks, stunning buildings to explore & of course the cream scones at the café! I know a good book when I physically cannot put it down! The last book I read like that was Asylum by Johan Theorin. It’s a Swedish psychological crime thriller. The protagonist, Jan, has just started working at a nursery. However, it’s no ordinary nursery as it’s actually linked to a high-security asylum containing some of the most dangerous people in the country. A totally gripping read, I would highly recommend it! AN EVENING WITH NO CHILDREN! Myself & my husband are real foodies so it would have to be a good restaurant that sells lots of different vegetarian meals. A bottle of wine to accompany our meal & then a nice walk in fresh, country air to finish. Mother’s Day is a celebration that honours mothers. Mothers Day is a day to show love, gratitude, and appreciation. Usually, the children do this through acts of kindness and the giving of Mothers Day gifts and flowers… and chocolate. In celebration of Mothers Day, Very Mummy has created a list of Mother Songs that all have Mother/Mum/Mom in the song title. Mothers Day is criticised by some people saying its commercialised, but it doesn’t have to be. After all its the thought that counts. Mothers are special and deserve to be celebrated, so why not do it in song form. Very Mummy has also included some of the amazing lyrics that can be found in the songs. Some of these songs have some very poignant lyrics and are well worth a listen. Hayley Brown is the creator and proud owner of VeryMummy. Hayley is a wife, 1:1 Teaching Assistant, and a mother to two beautiful daughters. Hayley is also on the editorial team over at TheDadNetwork. She loves to blog to raise awareness. Knowledge is power. You can find Hayley on all Major Social Media platforms using @veryMummy. Did you know that your sleeping environment can directly affect the quality of sleep you get? Your bedroom is one of the most important areas in your home for a number of obvious reasons. Fortunately, you don’t have to splurge a fortune chasing away your insomnia. All you need is a keen eye and some bedroom Feng Shui tips to improve your sleep quality. Simply put, Feng Shui is an ancient Chinese system of natural laws that govern the balancing of energies in any given space. So trying to orient your sleeping area according to these energies (Chi) might help you achieve a deeper and more soothing state of sleep. Here are some of the most popular bedroom Feng Shui tips that will have you sleeping like a newborn. Locating your sleeping area at the back end of your house is one of the most obvious Feng Shui tips that also borders common sense. By backend, I mean the rooms that are farthest from the front door and closer to the backyards. That’s because such bedrooms are usually quieter and also less likely to receive human traffic. This means that you are far less likely to be disrupted by sounds and other disturbances as you sleep. Additionally, you’ll receive more privacy since your room is the last place your family members will visit. Many houses in the UK tend to have a bedroom right above the garage. While this is a pretty efficient space-saving design, it also has its flaws. Bedrooms on garages are often disrupted by car exhaust, noise from doors, weird bugs and sweltering temperatures. Other places to avoid include bedrooms above restaurants, clubs, hotels and other active zones. This does not apply to apartments and high rises since the flooring is soundproof and you are probably above someone’s bedroom too. Ever stretch yourself out to catch some zzz’s in a bus or train? Was your head placed on the aisle or was it rested on the window side? Chances are that it was snug on the window side and that you’ve never dreamed of sleeping with your head on the aisle. Just the thought of someone walking by and bashing your head in could keep you awake. The same applies to your bedroom. Now, while you won’t have passengers and attendants walking around, having your headboard against the wall gives you an extra sense of security. It’s all about basic survival instincts that calls for having your head as safe as possible while sleeping. Simply put, the window is the gateway between your room and the world. When you sleep with your head under a window, your sleep is more susceptible to disruption from scent, wind, noise, shadows and movement. Sudden noises from birds and animals may unexpectedly jerk you from your sleep. Similarly, resting your bed on the same wall as your door or toilet may not be an excellent choice. Someone else opening or closing the door and flushing the loo will send vibrations that will disrupt your quality of sleep. Disrupted sleep can have many negative effects including fatigue, lack of focus and a short temper. Sleep deprivation can also cause some people to sleepwalk. Think about it; just how comfortable would you be in a room with a very low ceiling? You don’t even have to be claustrophobic to feel the effect, especially when you’re half asleep. This also goes for sloped and slanted ceilings. While very subtle, you tend to get this uneasy and tight feeling of being compressed. If you can’t avoid the low ceilings, you could try another practical Feng Shui tip that involves using a canopy bed. The four pillars play a significant role in making you feel supported. How would you really feel if you had to sleep under a bowling ball all night? Chances are that you’ll sleep with one eye open waiting for the big bang on your head. The same translates to a massive chandelier or wall clock the size of a log sitting over your bed. 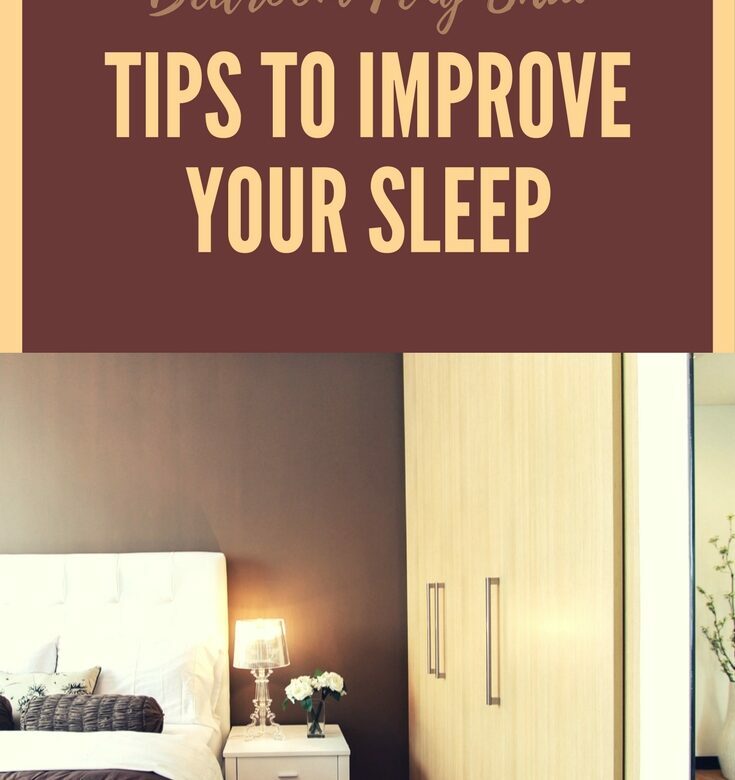 If you sleep with overhanging furniture, you may not feel 100 percent safe and may even feel some discomfort. Maybe set it down or hang it where it wouldn’t hurt anyone even if it fell. Part of how we survived all these years is by making use of the ability to identify threats through our vision. This instinct makes our eyes very sensitive to motion, even when we’re asleep. If your mirror is facing the bed, any type of reflective motion may wake you up from your sleep, sometimes in a frightened stupor. So try to minimise any reflective surfaces that face your bed directly. About the Author: Nicky Ellis is an editor at We Sleep Well. She lives in London and loves writing about home improvement projects and all sleep-related things. She is a mum of three who spends all her free time with her family, friends or just sipping her favourite cuppa of Earl Grey.